What do I know about 360 cameras? Well for a start I personally own 10 of them (seriously) and have used even more. I’ve been writing about and testing these cameras for two years, and this website is one of the top 360 camera resources online. I’ve even had the opportunity to work with Facebook’s 360 division. It’s safe to say I’ve had a lot of experience using 360 cameras, so I’m confident that I know the difference between one that’s worth buying and one that’s not. Hopefully my knowledge can help you make the right choice. The best 360 camera out right now. 5.7K video, amazing stabilization and advanced editing software. Bare in mind that not all 360 cameras are made equal. The most important feature to look for in a 360 camera is the video and photo resolution. 360 degree photos and videos require a very large resolution to look as clear as a normal HD video, so when comparing 360 cameras make sure to look out for high video resolution (4K is ideal). I’ve made it easy for you to compare the top 360 degree cameras available right now by creating this table which shows the main features and price of each camera. 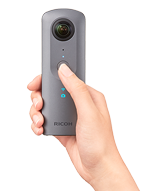 360° Capture - The ONE shoots in every direction at once, capturing life in seamless 4K 360° video and 24 MP 360° photos. Once you've got your shot, re-frame the best parts, or share a full 360° experience straight from your phone. 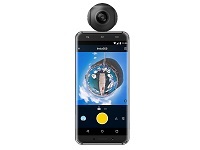 5.7K Resolution: Records 360 videos in up to 5.7K resolution at 30 frames per second with the 'Auto-Stitch' option in the app or in the in-camera menu turned off, ready to stitch in the accompanying YI 360 Studio (Windows) （Note: Compatible devices and software is required to playback 5.7K videos). 360 degree cameras are a brand new type of photographic and video technology which allows you to capture full 360° panoramas in a single shot. These cameras use multiple lens’s to capture the full 360 degrees around the camera, instead of the usual 120 degrees on a normal camera. The images and video produced by these cameras is special because you are able to look in any direction you want, which is proving extremely popular on social media with even simple videos receiving millions of views. Using 360 degree cameras you are able to capture more accurately what it feels like to experience a place or an event; for example a 360 video of Niagara falls is many times more immersive than a normal video. 360 cameras are likely to become popular along with VR headsets as 360 video is best viewed on these devices. 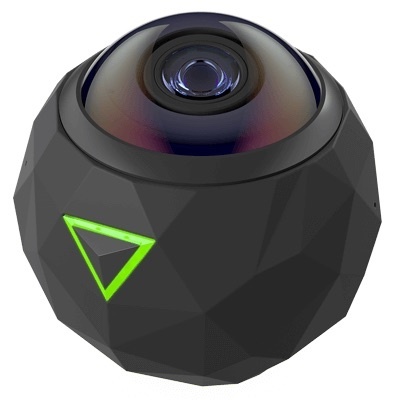 2016 is the year of the 360 Camera, when the first ever consumer 360 cameras become available at affordable prices. Previously these cameras have only been available to professionals and have costs thousands of dollars. 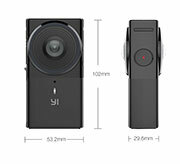 The table above provides a quick overview of the main features of the major 360 degree cameras available now. 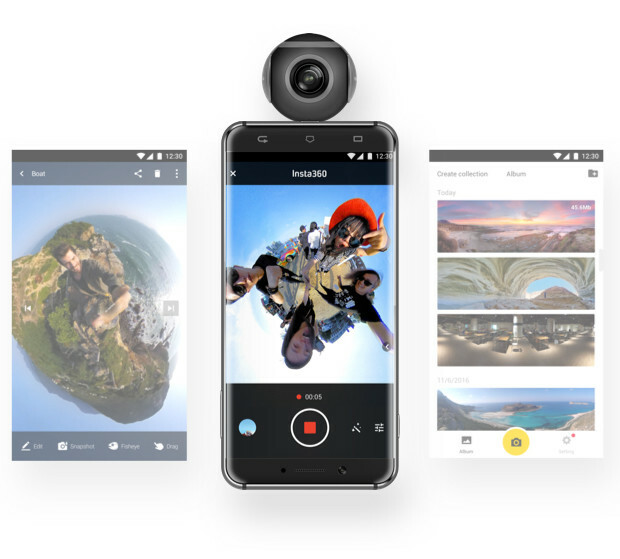 360 degree technology is in its infancy and these products represent the first generation of 360 cameras; never the less some of these cameras can produce very high quality 360 images and videos which are proving to be extremely popular on social media. Which is the best 360 camera? I’ve selected what I believe to be the top 4 360 cameras out right now. I’ve owned over 10 of these types of cameras and tested even more. Each of these cameras is great, but each has it’s positives and negatives. Keep reading to see which is best for you. 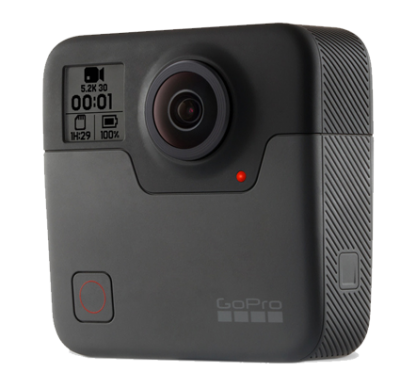 It’s not without its problems, but GoPro’s first ever all in one 360 camera is probably the best for video right now. The 5.2K camera can shoot near professional quality video with excellent colors and dynamic range. GoPro has also developed an overcapture software which allows you to create awesome non-360 video that is super smooth and almost cinematic in style. The Fusion is built to survive in harsher environments and is able to keep shooting even when under water. If you want the best 360 video for under $1000 the this is the camera to get. The Xiaomi Mijia Mi Sphere is the best cheap 360 camera out right now. If you are looking for a camera that works well, can shoot good quality video and photos and isn’t too expensive, this is the camera to get. The Mi Sphere can take stunning 360 photos, and high quality 4K video . I’d recommend the Mi Sphere to anyone who wants to start shooting in 360 but doesn’t want to break the bank doing so. The best all-round 360 camera. COmpatible with both iPhone and android. 4K video and 23 megapixel photos. One of my favourite cameras. 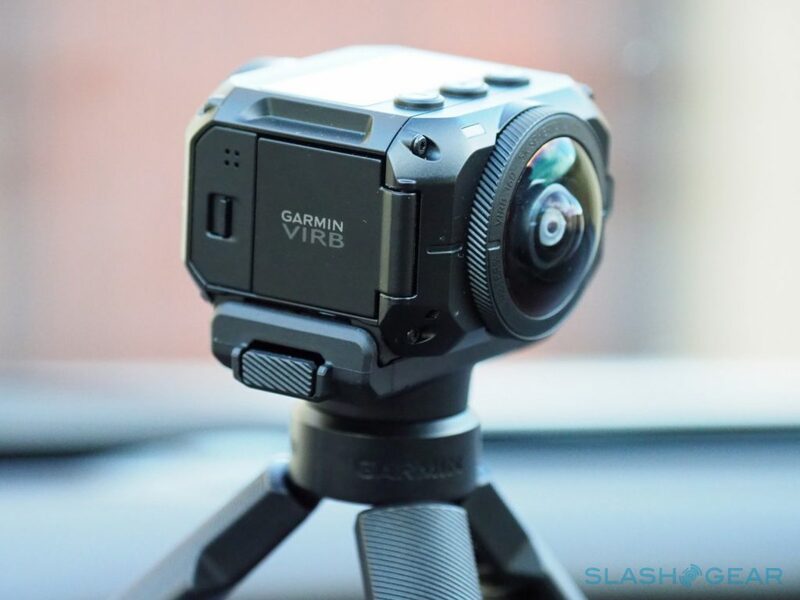 Garmin are a world renowned action cam producer and this is their first ever 360 camera. The VIRB 360 lives up to its promise to let its users create stunning 360 video in locations where other cameras simply wouldn’t survive. The camera is waterproof to 10m and shock resistant. It has a host of accessories so, like a GoPro, there really is no limit to where you can attach this thing. The VIRB can shoot 360 video in 5.7K which is the highest of any consumer 360 camera. The best thing about this camera is its ability to collect vast amounts of data using its many sensors; it then uses this data to create awesome augmented reality overlays on its videos. This is an awesome feature for those who wan to film action scenes. The Rylo is without a doubt the best 360 camera for shooting moving video. The software stabilization is so good that it rivals physical stabilizers. Check out my Rylo review to see examples of what I mean. 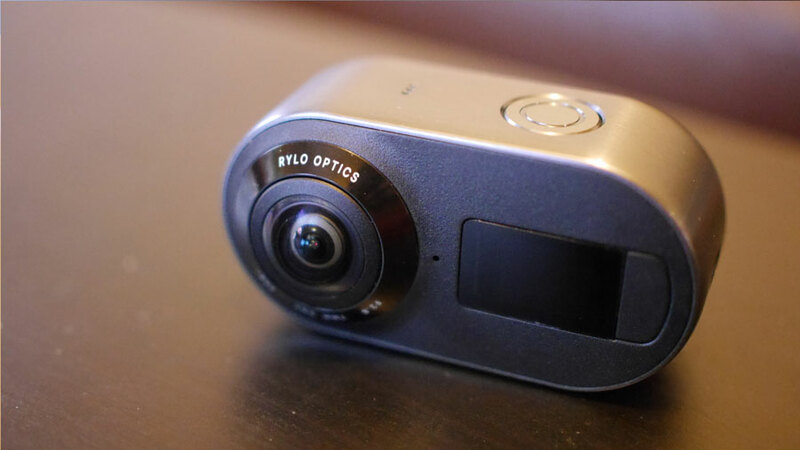 The Rylo can shoot 4K 360 video, which is fairly standard but still looks pretty great. The best thing about the Rylo is its software, which works nearly flawlessly. You can re-frame your 360 video into a cinematic flat video with just a few taps of your screen, and the resulting video looks great. If you want to shoot any kind of moving 360 video then the Rylo could be your best bet. The Insta360 One is one of the most innovative 360 camera yet. 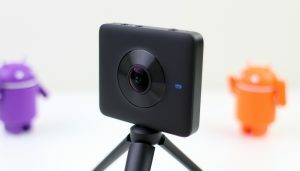 It can shoot full 360 video and photos in great quality, but the main attraction is the 3 unique video modes, overcapture, smart track and bullet time. These allow you to manipulate your 360 video in specific ways. Overcapture allows you choose where the viewer will see the action, smart track locks onto an object and follow it and bullet time lets you create a matrix style video. These features make the Insta360 one a tempting choice for vloggers and social media buffs. Insta360 ONE comes with 3 new modes for shooting 360 video that will really blow you away. 4K resolution. 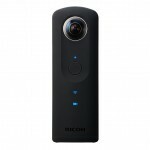 The Ricoh Theta V is the sequel to the extremely popular Ricoh Theta S. Ricoh upgraded the video capability of its 360 camera, so now it can shoot stunning 4K 360 video. The lenses use DSLR technology so they can work well in low light and capture great detail. 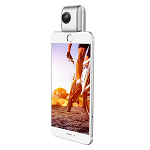 The design of the camera is perfect and it’s compatible with both iOS and Android. Lack of stabilization is the main drawback of this camera. These 360 cameras aren’t the best, but they aren’t necessarily bad either. These are the cheaper 360 cameras that don’t have as many features, but can still create good quality 360 content. Best for those who just want to try it out. 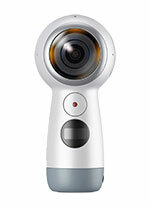 The second generation Samsung Gear 360 is a decent choice if you want a 360 camera just for video. The Gear 360 2017 is capable of filming in 4K resolution resulting in decent video quality and it can live stream 360 video to Facebook or YouTube wirelessly. The accompanying app is intuitive and connects seamlessly with the camera and is now compatible with iPhone’s as well as Samsung phones. The original Samsung Gear 360 was the top 360 camera last year and has only just been overtaken by its newer version. The Gear 360 2016 can shoot very close to 4K 360 video and image resolution is huge at 30 megapixels, which is better than the newer 2017 version. 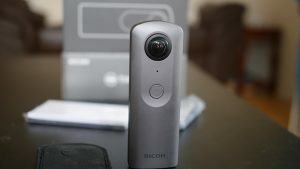 If you are most interesting in shooting 360 photos (and not so much video) then this is still the best 360 camera to buy right now, although you will have to own a Samsung phone to use it. 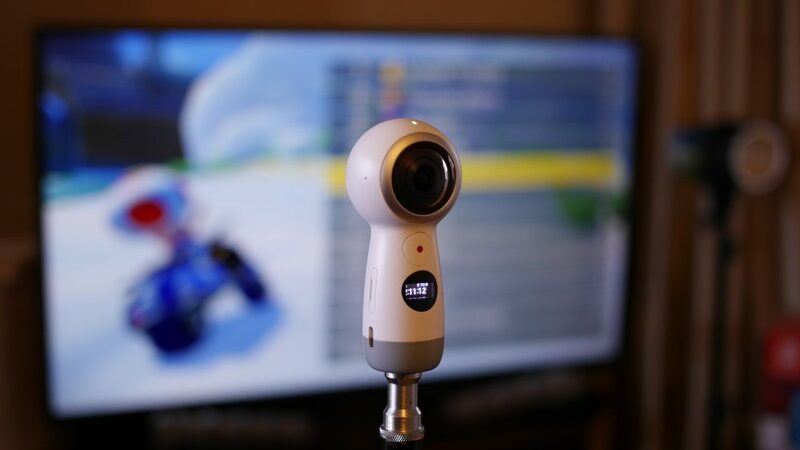 The LG 360 cam is the best 360 camera for those on a budget. At only $170/£150 the LG 360 cam is one of the cheapest 360 cameras available, yet it still produces decent quality 360 media. 360° photo’s taken with the LG 360 Cam are clear and sharp while video is better than some its more expensive competitors. This camera is still a step down from the Samsung, but still good for those wanting to experiment with 360° media. Blind spot below the camera. The 360 Fly 4K was the first 360 360 camera that came with any serious protection against the elements. Designed to be an action camera that can shoot 360 degree video, the 360 Fly 4K is waterproof, shockproof and dust-proof, so if you want to film your sporting activities in 360 degrees this is the perfect camera for you. 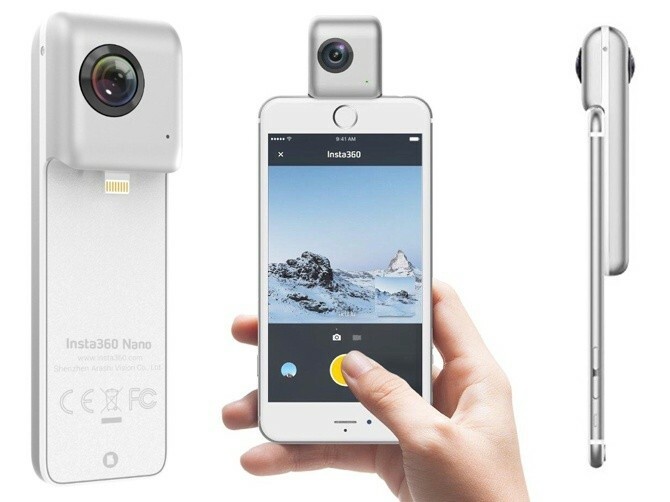 The Insta360 nano is a tiny 360 camera that attaches itself to your iPhone. 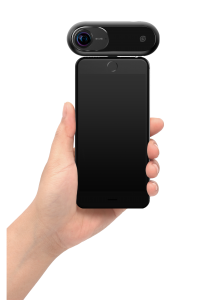 Using the Insta360 App, you can take 360 degree photos on your iPhone and upload them to social media instantly. The image quality is actually very good for a camera of this size and price and it even features stabilization software which is critical for good 360 video. The camera takes full 360 images and video, however video quality is slightly lacking compared to stand alone units. This is a very cheap and easy way to step into the world of 360 degree media. 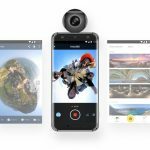 The Insta 360 Air is another 360 camera designed to attach to your phone, this time exclusively for Android devices. 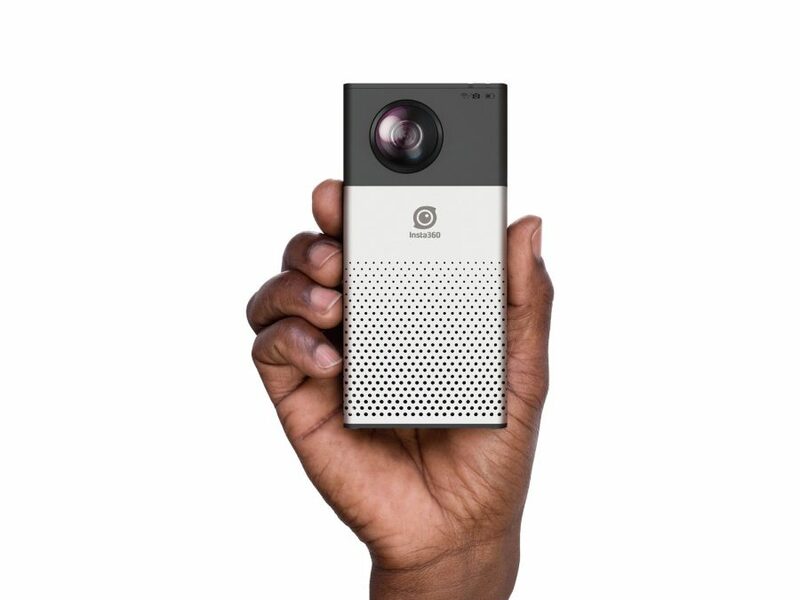 This is a tiny but powerful camera that can shoot 3K 360 video and take large, crisp and clear 360 photos. If you want a portable, easy to use 360 camera for sharing on social media then this is the perfect camera. The camera can also be used independently from your phone and can be plugged into your laptop to use used as a 360 webcam. Another unique feature includes the ability to live-stream 360 video directly to facebook, allowing you to share moments with your friends in the most immersive way possible. 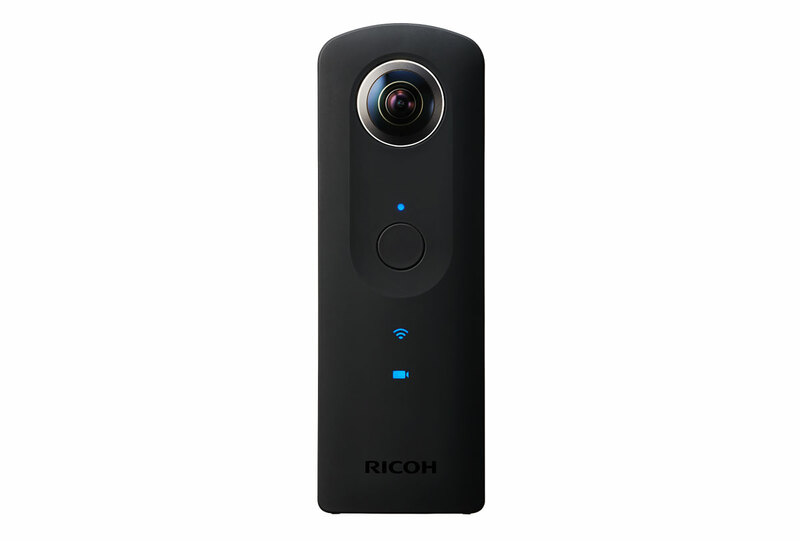 The Ricoh Theta S is another great choice if your looking for an inexpensive camera from one of the top 360 camera producers. 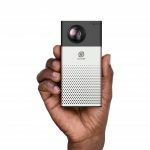 The Theta S is one of the most popular 360 cameras of 2016 thanks to the high quality still images it can take and the premium materials used in the design. The candy bar shape makes it very use to hold and shoot and the app is intuitive. Video resolution is not as good as competitors, but if that isn’t an issue for you then you will likely be very happy with the Theta S; just check the glowing reviews it receives! One of the more advanced, and more expensive, 360 camera to be released. The Insta 360 4K pretty much does what it says on the tin, shoot 4K quality video in 360 degrees. Of course it can also shoot 360 stills and it does so very well, producing excellent quality 16 megapixel images. When it comes to video, the Insta360 can be a bit hit and miss. While it can shoot 4K 360 video, it can only do so at 15fps, which does not result in a smooth video. On the plus side, this is one of the only 360 cameras that can live stream to Facebook and YouTube and its also compatible with most smartphones. It’s my opinion that the Xiaomi Mijia Mi Sphere is the best value 360 camera available right now. The Mi Sphere can shoot excellent quality video and photos, not to mention it’s very cheap. The video resolution is under 4K, but the excellent lenses make up for it. The camera has video stabilization and several time lapse settings, making it a well rounded, feature packed camera. If you are looking for something a bit more powerful, particularly in the video department, there are a few great options. You do need to own a Samsung Phone to use the accompanying App, so if you don’t own a Samsung Phone then the LG 360 Cam could be a suitable replacement. 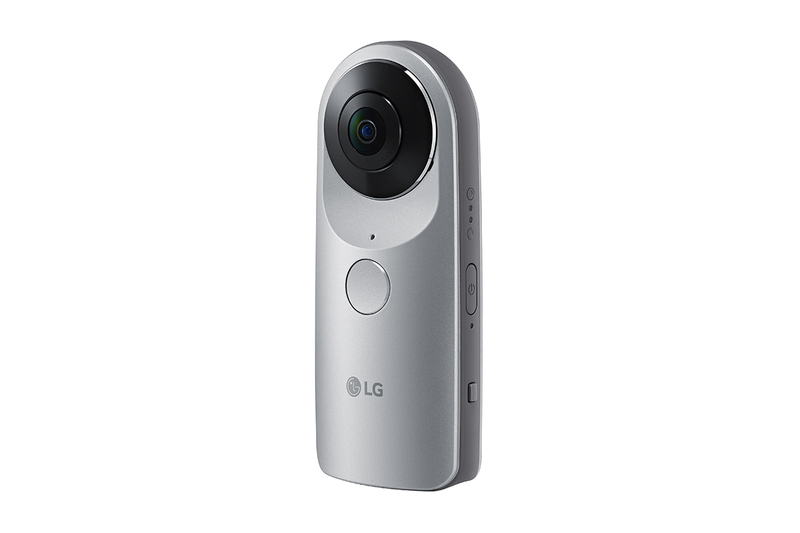 The LG 360 camera is compatible with most modern smartphones and shoots great quality 360 images; the video quality is slightly lacking but the camera is also significantly cheaper. If you are wondering what you should be looking for when choosing a 360 degree camera, then check out my post: The 360 degree camera buying guide. Here are links to all my reviews, so you can get even more information on each camera. Each review includes a thorough analysis of the cameras capabilities as well as video and photo examples. I often create comparisons between 360 cameras that are similar. These comparisons often include video and photo side by side shots and tables that allow you to compare the specs of each camera easily.